Oat Milk is very simple to make with some advanced planning. Usually, I make a pot of oatmeal once per week for the kids. I plan it out so that there is always a half cup of leftovers. With those leftovers I make Oat Milk for my daughter’s Spelt & Oat Waffles later in the week. 2) Add 1/2 Cup of cooked oats. Place lid securely on blender. 3) Strain through a Nut-Milk Bag over top a large bowl. 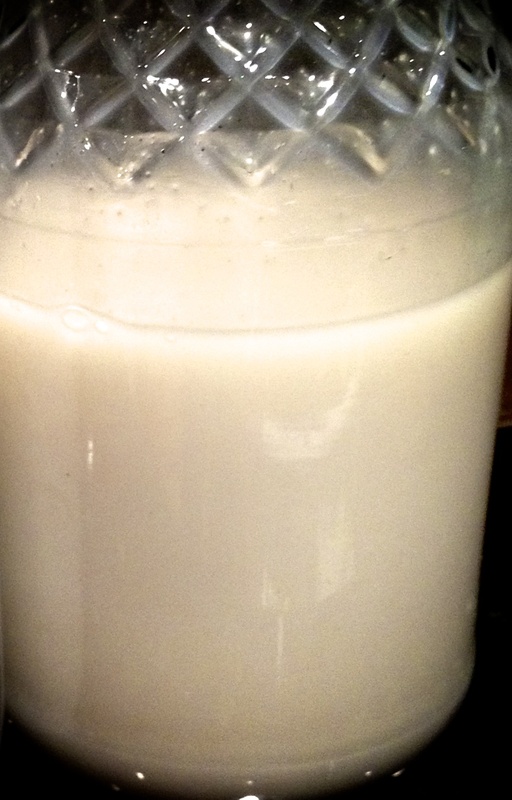 4) Transfer the strained Oat Milk to a clean glass container with tight fitting lid for refrigeration. The milk will keep well in the refrigerator for three to four days.